Everything up until this point is designed and developed on the exact same platform as a traditional membership site. But here's where things take an interesting turn..
You then position your website so that it becomes a "profit share system", where you not only earn money from every member that signs up but you give them the opportunity to make money as well, by creating a reseller account and pushing traffic to the site! Imagine what this would mean to you! You will be able to quickly build a massive community of paid members by letting your resellers do all of the work! You develop the website, build the community and provide resellers with the tools, resources and content they need to make money selling access to their own members. 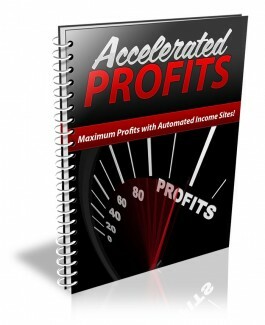 In return, you share the profits while letting them find and recruit new members for you. The greatest thing about continuity websites is that you can literally create an entire site around simple information products. Regardless if you’re pursuing a business or niche based market, you can easily create a membership based website around hot, evergreen topics, where people are satisfied paying for recurring access to your information. The idea is to identify a market where there is a great demand for various information products, rather than a single product because with a single-product market, you’re able to address their problems or answer their questions quickly. There’s no need to continue to pay for access to information, if their problem is easily solvable, right? Instead, focus on markets where customers are always in need of current, ongoing information. For example, the weight loss market is a popular one for membership programs, because you can easily develop a series of information products designed to address a different area within someone’s journey to losing weight. For example, every month you could offer a series of weight loss reports, including articles, diet plans and healthy recipes. You could later create illustration guides that demonstrate work out routines, and offer printable progress reports that help members keep track of their overall progress. You could later expand your membership program to offer additional upgrades, such as additional access to recipes, community support, fitness strategies and customized weight loss plans. But even if you have a very limited budget, you can still create a ‘starter’ membership site that is simply designed to provide access to a small information package each month. Then, as your community grows, you can expand your membership offer, adjust prices according to the extra value, and begin extending your front-end offer with quality backend products. The greatest thing about a system like this is that once you have a few months of content featured within your membership site, you can then adjust your membership model to offer upgrades, giving new members the option to pay for the access of archiving content or previous releases. Or, you can create a compilation of all previous content updates and use it to create an upsell for new subscribers! In order to build a membership site on the basis of a "Reseller Program", you will need a membership script powerful enough to provide this level of flexibility. While there are literally hundreds of membership scripts on the market, one of the only ones to offer the ability for any Webmaster to instantly transform their continuity website into a reseller program is the popular, Member Speed software package.